Portland, Oregon • 10/10/2012 — Homebrewing is easy and fun, which is why F.H. Steinbart Co. is hosting an American Homebrewers Association (AHA) Learn to Homebrew Day event. The event is free and open to the public and will be held at 10:00am, November 3, 2012. Organized by the AHA, Learn to Homebrew Day is an international event held on the first Saturday of November. 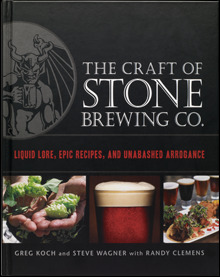 Since 1999, thousands of homebrewers have gathered each year to teach friends and family the basics of the homebrewing hobby. F.H. Steinbart Co. is happy to invite anyone interested in homebrewing to stop by from 10am to 4pm on Saturday, November 3, 2012 to join the fun! There will be a free brewing demonstration as well as question and answer time with one of our Homebrew experts and refreshments. Call 503-232-8793 or email dubnelson@gmail.com for more information. Homebrewers can register an AHA Learn to Homebrew Day event online at HomebrewersAssociation.org. On November 3, friends and family will gather to teach and learn the basics of homebrewing, a lifelong hobby that inspires creativity and is driven by a spirit of “do-it-yourself” ingenuity. If you’ve ever had an interest in homebrewing, Learn to Homebrew Day is the ideal way to get started. Brewing a batch with an expert is a great way to get started, which is why this event connects aspiring homebrewers with experienced ones for a hands-on education,” said Gary Glass, AHA director. 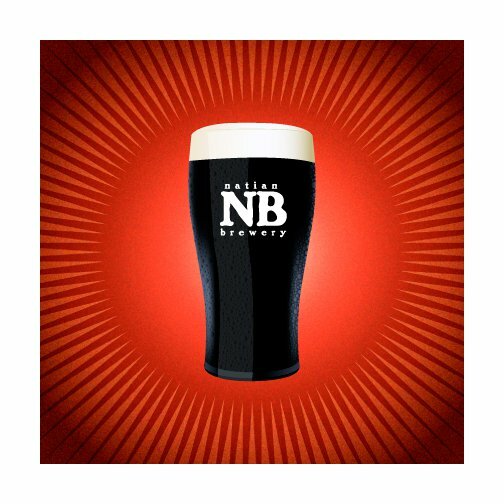 Come join #pdxbeergeeks and Eastburn on November 10th to celebrate Natian Brewery's third anniversary! We'll start the evening with a tour of Natian Brewery. The brewery tour is a RSVP only event (to RSVP please comment below, along with number of guests) and will start promptly at 7:00pm and run until 7:30ish. Enjoy a refreshing canned beverage, and bask in the glory of Natian's new 10BBL system. Then we will walk over to Eastburn for a tap take over with Natian to celebrate in style. Word on the street is you may want to bring your dancing shoes! Just in! Eastburn has announced $3 pints of Natian beers to celebrate the third anniversary, also DJ Symbolism will be spinning later in the evening. More news as it's released! Hope to see you all there! Upcoming news from one of our favorite breweries Block 15 out of Corvallis. Not all of it good though. From the blog. PORTLAND, Ore. – The 17th annual Holiday Ale Festival will take place Nov. 28 through Dec. 2 at Pioneer Courthouse Square, located at 701 SW Sixth Ave. in downtown Portland, on the MAX Light Rail line. The popular event will feature at least four-dozen big, bold ales designed to fend off the cold chill of a long winter night. From Belgians, barleywines and CDAs to winter warmers, porters and stouts, these beers have either been crafted specifically for the event or are hard-to-fine vintages, underscoring the event's reputation as one of finest gathering of winter beers anywhere in the nation. 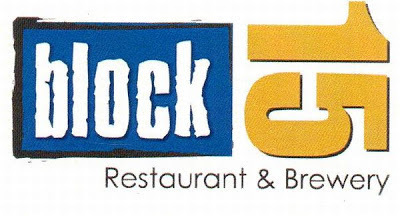 Event hours are Noon to 10 pm Wednesday, 11 am to 10 pm Thursday through Saturday, and 11 am to 5 pm Sunday. To avoid the lengthy lines that often accompany Northwest beer fests, the recommended days for attendance are Wednesday, Thursday and Sunday. The Holiday Ale Festival is for ages 21 and over. What makes this festival standout from other similar events is the beer selection: the festival works with every brewery involved to make sure they send a beer that has either been made or blended specifically for the event, or is a rare or vintage beer that isn't commonly tapped in the state. According to festival manager Preston Weesner, "It's really special to be able to hold this event in such close proximity to so many of the breweries that Oregon is known for. The savvy beer faithful come to the fest to meet up with friends and sample the special offering their favorite brewery has decided to share, then make plans to go visit the breweries after the event is over. It's a great time to be a beer geek and appreciate the amazing craft beer scene." To enter and consume beer, the purchase of an entry package is required. The general admission package at the door costs $30 and includes the 2012 tasting mug and 10 taster tickets. Advance general admission packages cost $30 and include the tasting mug, 12 taster tickets and expedited entry all five days. Advance VIP packages are available for $65 and include the tasting mug, 28 taster tickets, a bottle of water, access to VIP lines (including special tappings) and express entry all five days. Express re-entry requires a wristband and the 2012 mug, and is subject to the festival's capacity. Previous year's mugs will not be filled. Advance packages are available online at www.holidayale.com after Oct. 19. Once inside the festival, a full mug of beer costs four taster tickets, and a four-ounce taste costs one ticket. Certain limited release and special tappings may not be available in full mug pours, or may cost double tickets. Additional beer tickets can be purchased for $1 apiece. Designated drivers in a party of two or more may purchase a designated driver wristband for $5, which includes Crater Lake Root Beer or bottled water for the duration of the stay. Despite being held outdoors during one of the coldest months of the year, more than 17,000 festival attendees stay warm and dry over the five day festival under clear-topped tents that cover the venue. Gas heaters create a cozy ambiance beneath the boughs of the region's largest decorated Christmas tree. 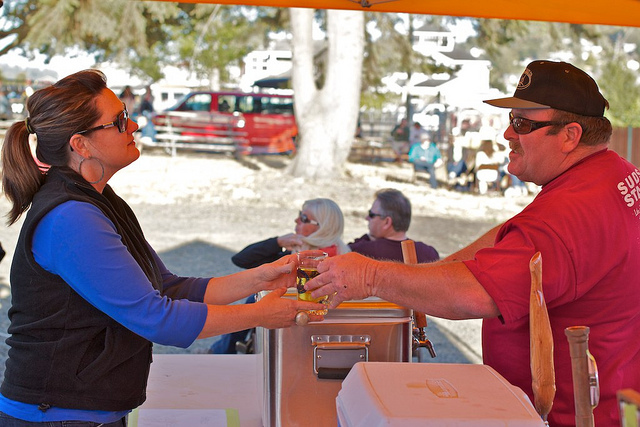 In addition to beer tasting, the festival also features meet the brewer events, a root beer garden, food vendors, beer pairings with cupcakes & cheese, event merchandise and a coat and bag check that raises funds for the Children's Cancer Association. One of the event highlights is often the beer names themselves: this year, look for Frosty’s Revenge, Blitz’n Prancer, Milk & Cookies, Figgy Pudding and Very Ill Tempered Gnome. The marjority of the beers hail from Oregon, but there are also breweries representing Washington, California, Colorado, Delaware and Montana. Returning to the event is the ninth annual Sunday Beer Brunch, taking place on Dec. 2 from 11 am to 1 pm on the upper level of Pioneer Courthouse Square. The auxiliary event features European pastries, cured meats and artisanal cheeses to accompany an assortment of exclusive vintage winter beers not available at the festival itself, plus special large format bottles to be shared. Tickets cost $65 and are available at www.holidayale.com. The Migrator Series: New beers. Unique ingredients. Off the wall yeasts. Experimentation. Single batch. Collaborations. No limits. Release parties. Music. We are a craft brewery on a mission for great beer. 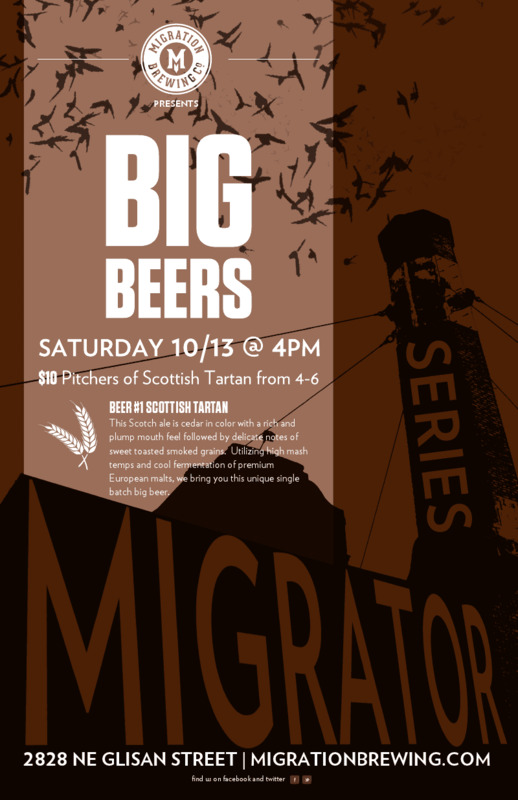 Big Beer #1: The 1st of three Big Beers for our Migrator Series: The Scottish Tartan is cedar in color with a rich and plump mouth feel followed by delicate notes of sweet toasted smoked grains. Utilizing high mash temps and cool fermentation of premium European malts, we bring you this unique single batch big beer. This lovely fall seasonal will be released Saturday September 13th @4pm. We will be offering $10 pitchers from 4-6pm so grab a friend and stop by to embrace the season’s change and enjoy this Scotch Ale even a Scotsman would be proud of. 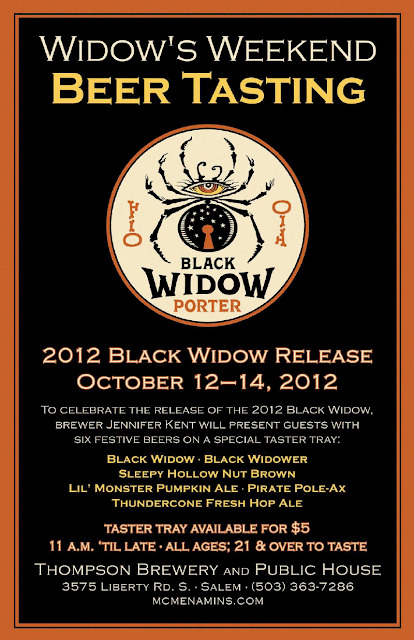 Friend of #pdxbeergeeks and a brewer for McMenamins Thompson's location for 15 years, Jen Kent will be doing an early release of Black Widow, along with some other great seasonals. She is also to be tapping her first firkin at 5 pm. (Beer to be announced that night) So if you are in the Salem area and looking for something fun to do, stop by and say hello to Jen. Just tell her #pdxbeergeeks sent you. Today's special guest post is from Jessica Murphy. As mentioned below I had the privilege to meet Jessica and her husband Chris back in July at the Beer Bloggers Conference in Indy. When I found out they were coming to #PDX, I was more then happy to show them the town. If you want to follow Jessica and her beer adventures in Chicago, check out her blog GirlsLikeBeerToo. 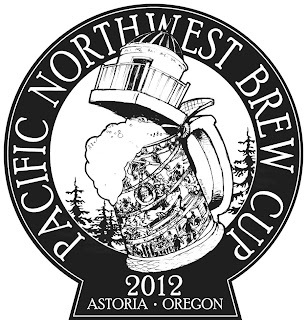 On a pristine fall weekend in the storybook town of Astoria, Oregon, the 11th Annual Pacific Northwest Brew Cup was held in a small park overlooking the Columbia River. My hubby and I were visiting the Pacific Northwest from Chicago, and the timing of our trip was based solely on this festival. We met Michael Umphress from #pdxbeergeeks and Brian Bovenizer from Fort George Brewery at the Beer Bloggers Conference in July and, when we mentioned our desire to visit the Portland area, Bovenizer mentioned this festival that occurred the last weekend of September. 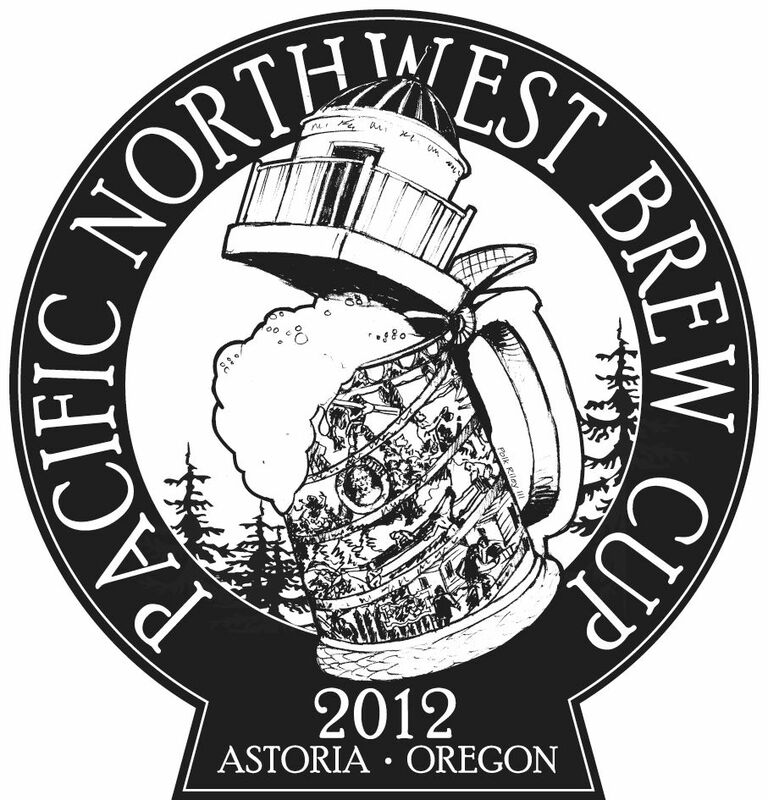 That seemed like as good a time as any to visit Portland so we planned an epic Pacific Northwest Beercation, commencing with a weekend in Astoria to attend the Brew Cup.